The company run by Husband and wife for the last 3 years has been catering and providing tasty meals and delicacies to their customers through their various pop up restaurant, Dinner, events, personal catering, parties and so much more. The place is small but neatly presented. A vast walk-in cheese room and champagne fridges tell their own story, while the blackboard menu runs from artisan charcuterie to biltong-crusted kangaroo steaks. Julius Agwu Enish Restaurant 2. You will find it either good or great! 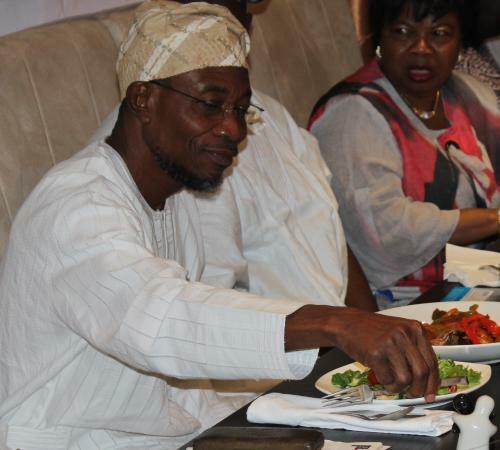 Their mission was to present a new West African dining experience. . The dishes: Zoe's grilled lamb cutlets melt in your mouth and come with her signature peanut sauce. Aside from the Take Away Section, the second is the Restaurant and the third is the Bar and lounge. Still, this is pleasure by the plateful — mezze, couscous, tagines and grills served in a warm and friendly locale. The dishes: Start with sosaties skewers of spiced meats before moving on to an equally carnivorous main. The interior looks gorgeous think colourful pillows, hanging drapes and handmade crockery and the kitchen generally makes a good fist of things — we particularly liked the marvellous meze selection. Everything is piled up in the window, although the place goes back quite a way and there are tables for sit down customers too. They are certainly one of the best well received and African food pop ups in London. The cooking is overtly ambitious and portions are generous but premium prices may take the edge off the experience. The basement lounge bar is recommended for its regular live music, sharing platters and quaint garden area. It's fit for fine dining, with whitewashed walls, mustard banquettes and lush plants. The ambience is really nice plus I know the owners sha On the real the food is good. The standouts: boerewors beef sausage ; pig cheek and pineapple potjie a one-pot cook-up ; and whole lamb breast on the bone with rosemary, cumin, coriander and chilli. 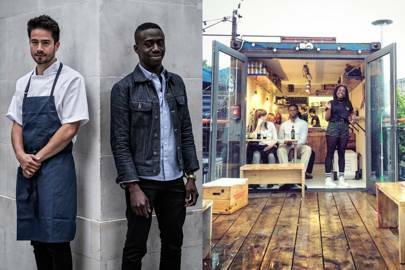 The duo brother and sister launched the Nigerian tapas lounge the first of its kind in 2015 and have been popping up across London offering an intimate dining experience with their twist on traditional Nigerian recipes. Here are four places that are still going strong. They also deliver on Uber Eats and Just Eat. 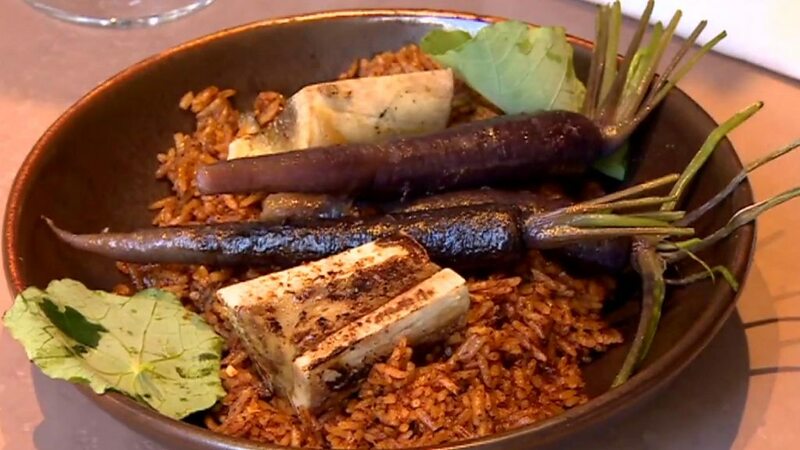 Find out more about them at: — Instagram: — Twitter: — Tumblr: —- 3 This West African supper club based in London plans to bring and share authentic homemade West African dishes using organic and locally sourced ingredients. These guys are usually based in Exmouth Market and in a few other neighbourhood street corners within the M25. Not sure about that, the likes of Tomi's Kitchen in Deptford, and Tasty's are not that bad. It will be open from 5. 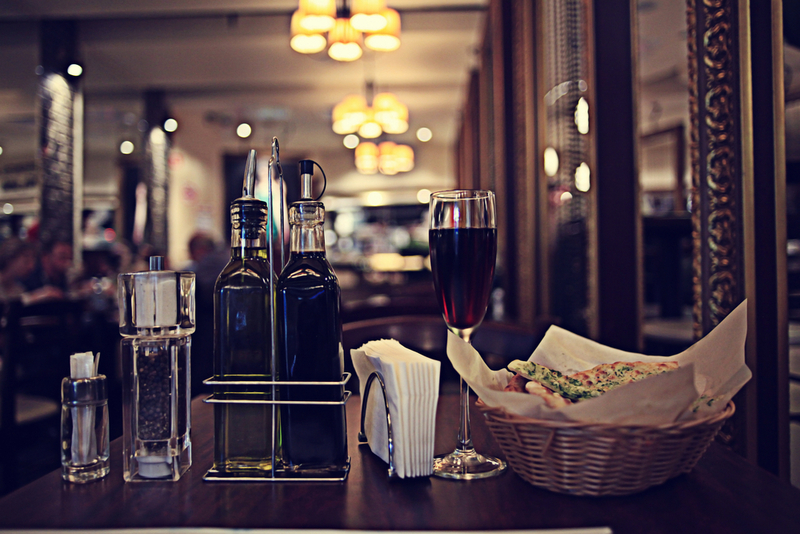 A spacious restaurant is complimented by a bespoke home ordering and delivery service. Peanuts add a sort of creamy intensity to the flavour and boy, has it got some spice. This place is small, and the menu is more of a guideline than set in stone, but they tend to do traditional dishes such as groundnut and egusi a type of melon seed soups. By boldly reimagining Nigerian recipes with cutting-edge cooking techniques and presentation. Locals might come here for spag bol and jacket potatoes at lunchtime, but it pays to go for the authentic North African stuff — our fish tagine was spot-on, likewise a succulent couscous royale. Ikoyi welcomes you to our bar where we also serve ingredients inspired by the West African region. We endeavour to visit at some stage this year. Reservations We are open for lunch and dinner Monday to Saturday. To put it short; they are all about flavour, colour and being completely stuffed! This community seem to be the most robust and organised amongst many of the diverse West African community based in London. Also checkout chapman, a delicious Nigerian cocktail. Finish in style with traditional honey wine or coffee with frankincense and popcorn. 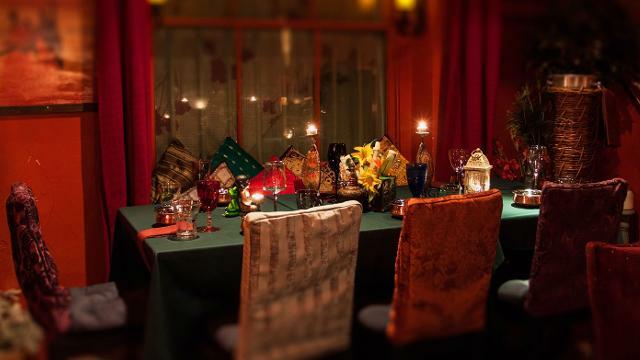 Enish Located in Lewisham, with a new restaurant in Finchley, this restaurant is great for hosting private parties. Before Middle Eastern and Maghrebi flavours were de rigueur in London, this glamorous, opulent venue was bringing exotic cuisine and unfettered fun to Mayfair. 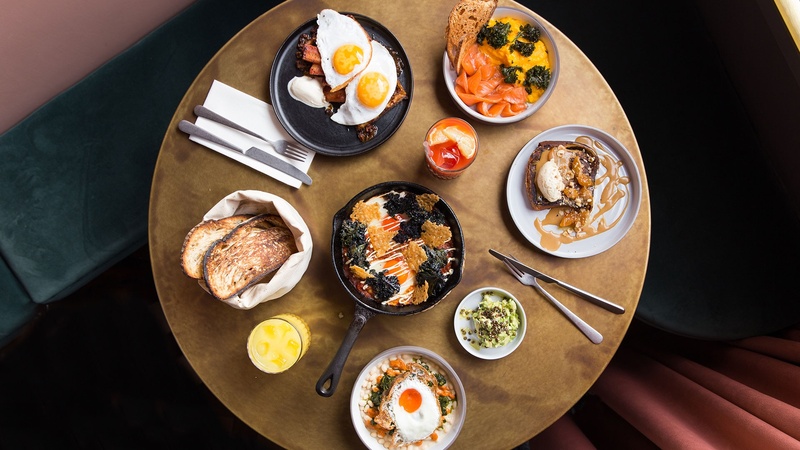 Founders Makda and Jack Harlow combine warm Eritrean flavours with recognisable western favourites - Asmara, the capital of Madka's hometown, was built by Italian modernists and the restaurant reflects the cultural mix. I particulalrly like the Togolese beans from tasty by m : 8:35pm On May 30, 2011 kai! By day, Adams Café is a redoubtable greasy spoon with a menu to match; by night, it morphs into a cosy North African bistro with exotic Moroccan and Tunisian flavours taking centre stage. The setting: Ikoyi is a plush, cosmopolitan district of Nigeria's largest city, Lagos, and the design takes its cues from there. Available at farmers markets, to local businesses and to order. The setting: The two-floor location is more glossy Cape Town than edgy Joburg, with flattering lighting, model-approved mirrors and the look-at-me barbecue centrepiece. The Bongo in Tottenham has varied reviews but they have been in service for a while in what many African Londoner would state is one of the traditional London bases of Ghanaian Londoners, Seven Sisters. The restaurant was founded in the summer of 1987 and opened its first branch in 1991, opening the Peckham High Street outlet in the summer of 1992.